You can count on Thomas Howell Ferguson to serve individuals in a variety of ways to meet their financial and tax service needs. 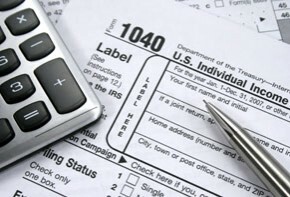 More than just income tax return preparers, we are routinely involved with clients on financial decisions that include both tax and non-tax matters. We realize that financial planning is a team sport, and we routinely work with other advisors, such as bankers and investment professionals, in developing recommendations to assist in solving problems or taking advantage of opportunities. Being an individual’s CPA/financial advisor provides value beyond just an income tax preparer and offers a level of service we are committed to. You can count on experience. Our personal tax services team members are a group of professionals whose combined experience provides for timely, accurate, and creative service. As income tax rules and regulations become more complex, it is critical that you work with an advisor who understands not only the rules and regulations, but understands your reality and circumstances. To better serve you, we continue to invest in our people and our technology infrastructure to ensure we are meeting the challenges of today’s tax and financial world.